Mintel’s Global New Products Database shows us that between July 2013 and June 2018, there has been 175 percent increase in vegan beauty brands. That is a staggering figure, one that is showing now signs of slowing down either! I think we can confidently say that vegan beauty is here to stay. But, is switching to vegan beauty truly the answer to saving the world and taking care of all our furry friends? The reason I don’t preference vegan beauty products as my value driven choice may (or may not) surprise you. Here’s the thing, I don’t think that choosing a product on its vegan credentials alone, is always the most environmentally sustainable choice. In my practice as a clean beauty makeup artist and sustainability consultant, I always encourage people to find the personal value that they are simply not prepared to compromise on and use that as their basis for choosing their preferred products. Many clean beauty enthusiasts would base this on their health. Mine happens to be the environment. Wait, what? But surely you know that going vegan is better for the environment? While I cannot dispute that drastically reducing our consumption of meat and animal by-products in our diets is better for the environment (provided of course, we are eating an organic plant based diet that supports biodiversity and re-wilding of the land and animals), when it comes to substitutions in our beauty products, all too often these animal by-products are replaced with potentially toxic and bio-accumulative synthetic ingredients. So you’re saying I should use products with animal remnants in because it’s better for the environment? No, that’s not what I am saying. What I am saying is that you should consider the source of the ingredients and the direct impact they are having on animals and not just if the ingredients don’t come directly from animals. If the ingredients in your favourite vegan beauty product are made from petro-chemicals, which have a huge direct, negative impact on the people and animals both in the extraction of the crude oil, as well as, the implications of what many ingredients might be having on the very environment animals are living in once they are in our beauty and personal care products. come on, What kind of damage are my cosmetic ingredients really having on the wellbeing of the very animals I am trying to protect? Well, let’s start with the extraction of crude oil (which is what petro-chemicals are made from). to name a few… Don’t even get me started on the potential health risks associated to certain synthetic chemicals. The impacts of acid rain are all inclusive. They impact the soil and kill off forest that support wildlife and it gets into the water system, destroying the habitats of aquatic animals - delivering a cycle of destruction. Climate change is the long-term shift in weather patterns, including rainfall, temperatures, cloud cover and the severity of natural disasters - either in a specific region or on a global scale. Climate change is again, largely caused by human actives that have resulted in increased concentrations of carbon dioxide (CO2) and other greenhouse gases (including water vapor, methane, ozone, and nitrous oxide) in the atmosphere. Naturally, these changes in weather patterns directly affect animals and wildlife by destroying their habitats and ideal living conditions. An oil spill is the release of a liquid petroleum hydrocarbon into the environment, either on land but more typically in marine areas. These spills are a directed result of human activity - and our insatiable demand for stuff. 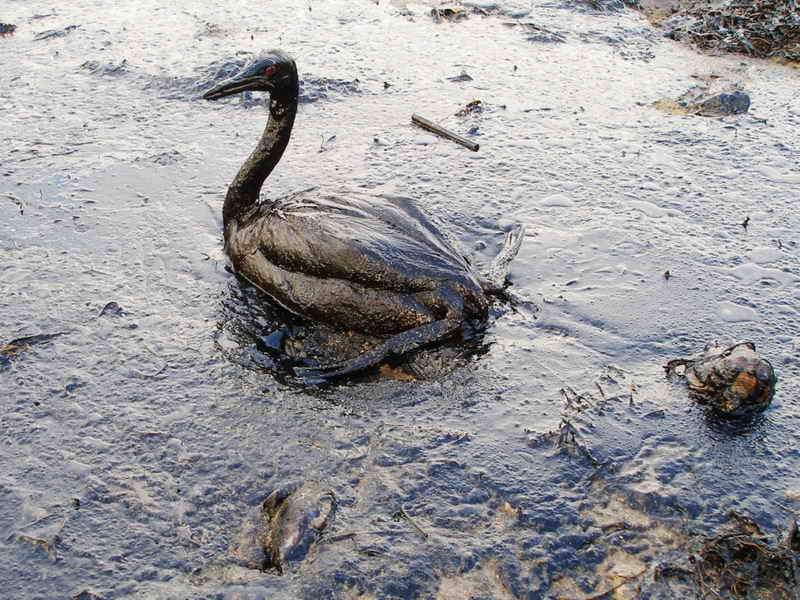 It is a very real, obvious form of pollution and has devastating impact on sea life and aquatic birds. They are a nightmare to clean up and have long-lasting, implications on animals and to the environment. But I thought that I was making a difference by choosing vegan products? Oh, you definitely are making a difference! And I applaud you for making an ethical choice. If you have chosen the path of veganism because you can’t bare the idea of eating or wearing animals (or their by-products) then I support your decision 100% and more power to you. The point I am trying to make here, is that if you are choosing vegan products because you are under the impression that they are, by their very nature, a more environmentally sound option or that they are healthier for you - in particular when it comes to beauty (this is not an article about a vegan diet) - then perhaps you need to rethink your strategy. Okay, well surely if the products are natural, organic AND Vegan, I am doing better by the environment? In theory, yes. By choosing natural and organic brands that don’t contain any animal derived ingredients is the ideal. Again, however, this will depend on your personal motivation and your point of compromise. Candelilla and Carnauba Waxes are two excellent substitutes for beeswax and are found in countless beauty and personal care products - not to mention household products and food. But do you know the journey of those waxes and their carbon footprint? Candelilla wax comes from a hardy shrub-like plant grown in the Chihuahuan Desert in Mexico. While the harvesting of the shrub is done by hand by permit-holding candelilleros - and there are measures in place to replant and recultivate the populations - to produce just 7kg of the crude wax, about 220kg of the shrub is needed. In order to extract the wax, the stems are boiled in a mixture of sulphuric acid and water. That’s 200 - 300 gallons (757 - 1136 litres) of water to produce one vat of the wax. Carnauba wax comes from the Brazilian wax palm, which, believe it or no, is native to Brazil! While the palm has been known to grow in other parts of the world, it is only in the northeastern region of Brazil that the palm produces the wax. The cosmetic grade wax comes from the young, unopened leaves at the very top of these trees. They leaves are harvested, dried, beaten, and processed to extract the wax and the powdered wax. It requires some 200-300 leaves to produce just a single kilogram. Then its is melted, purified and filtered. Melting; requires heat from a fire or furnace. Which requires wood and coal to fuel or large amounts of electricity to run. Purification and filtration; require large quantities of water. Moreover, because of the very small areas of the world these plants grow, there is a greater risk of exploitation of the people who harvest the plants and the plant themselves. In fact, in Brazil, it has been reported that upon inspection of the industry (as a whole) Brazilian Labour Ministry official even described it as slavery. Not to mention the carbon footprint of transporting these waxes to various parts of the world to be used in our favourite vegan lipsticks! Vs products with sustainably sourced beeswax (and honey). According to the Soil Association, research indicates that plant, insect and bird life is 50% more abundant on organic farms - on average. If bee’s are respected and protected, by buying products that contain beeswax from organic brands, we are encouraging wildlife to blossom, while ensuring our own survival too. It doesn’t require a lot of processing and is also available on a more local scale, therefore minimising the carbon footprint of its transportation. Okay, I get it. Buying something with beeswax is okay then? No, not entirely. Commercially produced honey and beeswax definitely exploits our waining bee populations. Again, what I am saying is that you need to look at the impact of the ingredients based on your own values. Would I buy a commercial beauty product because it has the word honey (which has a myriad of skin-benefiting properties) splashed across the label? Absolutely not! I do not trust that the beeswax and honey used in the formulation supports our sacred bees, which in turn supports our fragile environment and, are surrounded by other questionable synthetic ingredients that contribute to climate change. Would I consider using products that contain honey or beeswax from hand-crafted, independent and organic certified brands? 100% yes! Would I buy a clean beauty product that is also certified vegan? Sure! There are many that I love and support all the time, provided of course the ingredients are the most environmentally sound options. The ‘vegan’ aspect of the products however, is not the main focus of why I would choose them. So what exactly, is the difference between ‘clean’, ‘cruelty free’, and ‘Vegan’? Clean beauty encompasses 5 main principles; they have to be produced mindfully, with ethically sourced ingredients from natural and organic origins; that are not proven or are suspected of being toxic. They are made with our health and the environment in mind. By the very nature of how they are produced, they are also cruelty free but not, necessarily vegan. Clean beauty is often overlapped with “Green Beauty”, which focuses on the use of natural ingredients and organic farming practices. It needs to be said, that just because something is natural does not mean that it is always the most sustainable option. Sustainable beauty is another entire issue. Cruelty free means that no single ingredients or the finished products can be tested on animals, and companies cannot allow third-party testing for inclusion in foreign markets. They definition, however, does not extent to human-rights, which are regularly still exploited. Cruelty-free products can contain animal-derived ingredients, provided animals are not directly harmed to produce them. You can read the full Leaping Bunny standard here. Vegan beauty means products and brands that do not use animals for any personal gain or financial profit. Ingredients cannot be made directly from animals or derived from them. They can however include GMO plant-stocks, which have been proven to decrease bio-diversity in nature. Vegan beauty ensures that the products also qualify as cruelty-free. Lest we not forget though, that historically, nearly every single ingredient in our beauty products has been tested on animals at one time or another. Synthetic or natural. Thankfully though, testing of new ingredients and finished products is being dramatically phased out across the world and we see more countries committing to eliminate the practice all together. Here is the PeTA list of animally derived ingredients so you can make your own informed choices. Please bear in mind that many ingredients on this list are found in both ‘clean beauty’ brands and commercial products and can be derived from animals, plants or synthetic sources. If you are concerned that the source of the ingredients may be coming from animals and there are more ethical alternatives available (ie: plant-derived, as now we know that synthetics aren’t all that animal-friendly in the big picture), I encourage you to contact the brand directly. Anything else I should be considering while trying to save the planet, the people And animals? Of course there are. Other natural ingredients that can negatively effect animals in their natural environments are titanium dioxide and zinc oxide. Both are commonly used in natural products as a safe (for humans, provided they are not in nano form) physical sun block, however, they are both very destructive to marine life and have played their part in damaging coral reefs. So, this would be an example of choosing products according to the environment you are entering. I encourage you to identify what your personal values and ethics are. Choose products based on those, thereby making the most sound decisions for your needs and in turn making more sustainable choices long-term. Support brands that are encouraging bio-diversity, using sustainably sourced ingredients and mindful production methods. Buy less and use less. Your skin will be happier. Finish your products! Don’t let any resources become a waste. Lastly, keep reading UNTAINTED for reviews of brands and products that consider the big picture!